Protect your family, friends and home from flying sparks, burning embers and dangerous flare ups with this hanging fireplace spark screen. The screen comes in sets of two screen with the pull handles included. If you want rods, they are sold separately. The screen is a quarter inch mesh 19 gauge steel. The screen easily expands and contracts giving easy access to your fire for loading and maintenance. Made by Woodfield the screen is about 48 inches by 24 inches. Is this Woodfield hanging fireplace screen black? Yes, this screen is indeed black. Do the screens include the rings that are needed to hang them? The screen panels do indeed have the mounting rings as standard and can easily be installed onto your current rods. Yes, rings are part of the screen. The screens themselves are of decent quality although the rings, in my opinion, could be a little thicker metal, but certainly are adequate. Good product. Can this screen be cut down? This screen can indeed be cut down to length, however the bottom metal retainer that holds the screen together would need to be reused. This retainer keeps the individual screen from unraveling after it has been cut. The spark screen is a perfect fit and was easy to install. Our fireplace looks way better with a new spark screen. Replacement needed - this worked. Adequate replacement to original screen. Fit is good. design and quality are also good. ConsOnly improvement might be if it slid easier on the guide rail. It's a tad bit sticky or jerky to open or close. This looks great and delivery was fast. Received my order in two days. The screen was a perfect fit an easy to install. Fireplace looks new again. Measurements were as advertised, this fit my opening great. These screens were so easy to install and were exactly as ordered. Replaced our old, stiff, rusty screen. The new screen installed and fit like the original, and renewed the look of the fireplace. 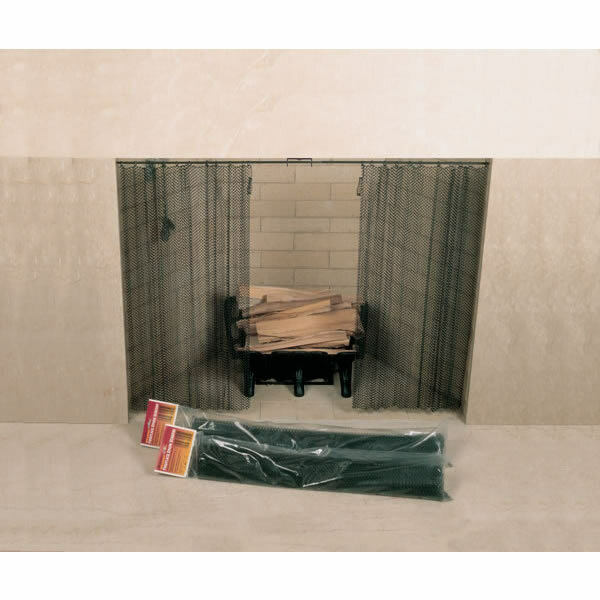 ConsDid not come with the hold-back clips to secure the vertical edges to the fireplace frame. Our old screen was worn out from 30 years of use. A customer service person helped me locate the correct screen, pricing was reasonable and installation was easy. The new screen works great and we are looking forward to 30 more years of warm fires on cold PA nights. The spark screen was as described and a snap to install. Proseasy to install. looks great. Consyou can choose the height, but no the length. I have a lot of screen pushed to the side that gets in the way once in a while. Had a question. Got an answer. Made an order. Got what I wanted. Called for more information. Spoke to a very helpful person. Made my order by phone. Three days later order arrived. It was exactly what I wanted. This was a perfect fit and looks great. I am so pleased. There's not a lot to say. The screen is as described, seems to be well constructed, and fits our over-sized fireplace. Came as described in reasonable time, fit perfectly. Reasonably priced, exactly what I was looking for. 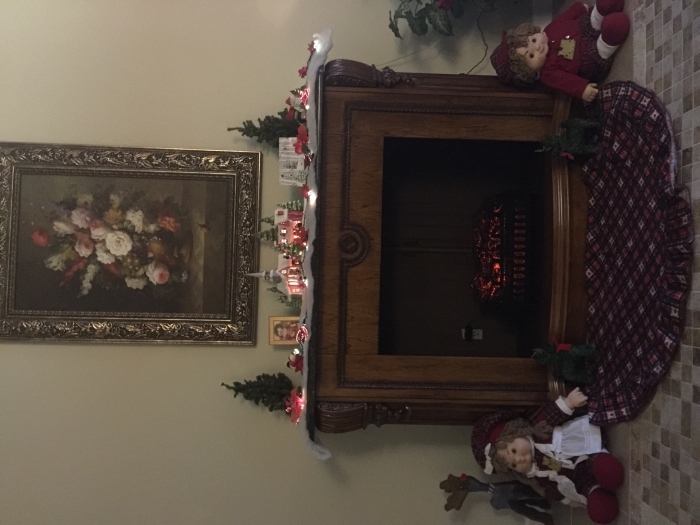 I ordered a new fireplace screen and I couldn't be happier with the process from this seller! The website was easy to navigate, the delivery was quick, and the product is exactly what I ordered/needed. I highly recommend this site! Perfect replacement screen for our fireplace. ConsThere is not a 25"
The screen was easy to install and looks great. The fireplace screen was exactly as portrayed. It was perfect. I love working with this site. It was super easy and was shipped in a timely manner. I am completely satisfied. I purched this as a replacement for the old mesh screen. This was very easy to install and looks so slick compared to the old rusty one I had on there. It is such a simple and cheap thing to do for a huge cosmetic improvement. ConsIt did take some time getting the correct measurement but in the end it worked out well. Seems to be good quality and easy to install. Super online support. Item was as described. Seems like a quality product. I ordered a new mesh screen for my fireplace. The process was so easy. The screen is exactly what I wanted and installed with no trouble. The really amazing part is that I received my order in one day, which I didn't expect. That was wonderful since we were having a party two days later. Thank you for wonderful service and a great product. This order met or exceeded my expectations, both in quality but also in delivery. Fast shipping. Great price and quality product. I have done business with eFireplace in the past and have not changed my opinion. They are pleasant to deal with and certainly give adequate information on how to measure and install the products. Kudo's to the 4th power Thank you! I didn't just simply click five stars...........Each one was deserving of the outstanding rating. I was extremely pleased with every aspect of the experience of buying from your company. The fireplace screen I ordered is hanging now in the opening and seems to be of superior quality. Thanks. I'll be back!!!! Fit perfectly and priced right! Our old spark screen was a mangled mess - difficult to move and close the doors. The new mesh screen is perfect. Thank you for providing good quality product at the right price. This is a well-constructed and attractive fireplace screen. It's fairly simple to install but does require some work like drilling holes in masonry or steel. The only downside is that the screen rod kit that you have to buy separately has no instructions and comes with no hardware for installation. You can find the instructions online with Google, but it's kind of irritating. This is a nice way to improve the appearance of your fireplace. ProsReasonable price, ease of installation. This is a great screen. Does what it is supposed to do! Helps keep hot embers in the fireplace when closed. Worked exactly as I had hoped! Great product! Well made, durable and attractive screen. It looks exactly like I thought it would and it fits perfectly. It was was easy to install. The information provided before the purchase allowed me to get the right size and ensured speedy delivery. I have been extremely pleased with my purchase and would recommend this product to anyone. It is easily installed and made of quality materials. Woodfield Hanging Fireplace Spark Screen is Perfect replacement! It was simple to do, a perfect fit and fixed a problem that had been annoying me throughout the entire season. I use my fireplace almost daily to reduce non-sustainable source of heat. While this was a mild season in New York I still went through 3 cords of wood (sustainable energy). In previous seasons the original screen, now 12 years old, became misshaped through opening and closing so frequently. New one works smoothly. I am a very happy client and will recommend to my customers. I own a fireplace and stove store, and encourage strongly the use of sustainable energy sources. ConsEverything was perfect, nothing to dislike. The shipping was fast and the Spark Screen was exactly the right size. It slipped on easily and was easy to install. I would highly recommend it. This screen was a quality product, a bargain, had a fast delivery period, and was securely packaged. This screen came in a short amount of time, was super easy to put together, and provided protection for my extra long fireplace. Just what I needed!